The way in which patients with multiple sclerosis answer questionnaires could help to predict their survival rate from the disease, a study has found. The research, carried out at Imperial College London in collaboration with University Medical Centre Göttingen, shows that MS patients with higher scores on a standardised questionnaire were more likely to die in the next 10 years compared to those who recorded lower scores. Researchers believe the study is the first to show that such patient-reported outcomes, captured by simple questionnaires, can be used to predict clinical outcomes in neurological diseases, like MS. They stress that while these tools cannot yet be used to accurately predict individual patients' survival, at a group level they could help to compare the effectiveness of treatment options, and tailor healthcare to an individual's needs. "Our research shows that by answering a set series of questions, patients can have an important role in predicting long-term prognosis in diseases like MS, and that these types of questionnaire should be used by doctors to get a better idea of the patient's health," said Dr Joel Raffel, from the Department of Medicine and who led the research, published today in PLOS Medicine. MS is a degenerative disease affecting the central nervous system. It is caused by the immune cells turning on the nerves and damaging the fatty layer of insulation which protects them, leading to a range of symptoms. The condition affects an estimated 100,000 people in the UK, with patients normally diagnosed between the ages of 20 to 40. As MS is a complex and highly variable disease it can vary from one person to the next, making it difficult to give patients an accurate prognosis on how their disease will progress. In the study, patients completed a standardised questionnaire which graded to what degree their symptoms impacted on their lives. The multiple sclerosis impact scale (MSIS-29) asks patients a series of 29 questions to find out how their MS has affected them in the previous two weeks. It uses a scale from one to five -- with five being most affected. A total of 2,126 patients registered with the UK Multiple Sclerosis Society Tissue Bank completed the questionnaire in 2004, with 872 of this group completing a second survey one year later. Within 10 years, 264 of the original patient group had died. Researchers found that those patients who scored highest on questions relating to physical health -- i.e. 'In the past two weeks, how much has your MS limited your ability to carry things?' -- were 5.7 times more likely to die from the disease within 10 years, compared with the lowest scoring patients. What's more, mortality risk was 2.2 times higher still in those whose score increased on their second questionnaire, compared to those with a stable or decreasing score. According to Dr Raffel, adding a tool like the MSIS-29 questionnaire to clinical assessments can help patients tell their doctor how MS is affecting their quality of life, giving more insight into how the disease is progressing and how their prognosis is changing over time. "Traditionally, in medicine, doctors will decide if a patient is getting better or worse," explained Dr Raffel. "We hope that using patient-reported outcomes like these more and more will mean a shift towards empowering patients. They will be able to provide their own data, so rather than the doctor telling the patient how they are doing, it's the other way around. What's more the questionnaire can be completed online and not in the presence of a doctor." The researchers highlight that the study had limitations, with most patients involved being in the later stages of disease. For those with early-stage MS, the disease often has a lesser physical impact, which might make the questionnaire less predictive of future outcomes. 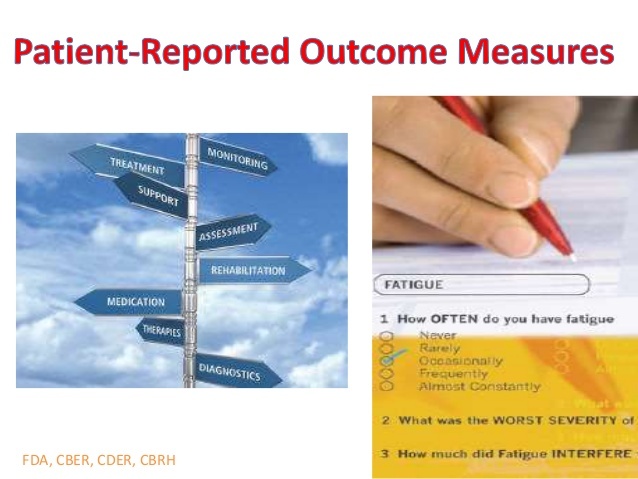 The hope is that patient-reported outcomes could be another tool to add to the clinical toolkit used by doctors to assess patients. Incorporating questionnaire responses, which can be easily filled out by patients online, with imaging data such as MRI scans and other clinical assessments, could help the doctor and patient to choose the best course of treatment.